Brothers Lucky and Raphael have always lived on the wrong side of the law. When a "job" goes very wrong and Lucky finds himself in debt to local heavies, Sebastian and Kramer, he is forced to join his wayward brother on the biggest heist of their careers. 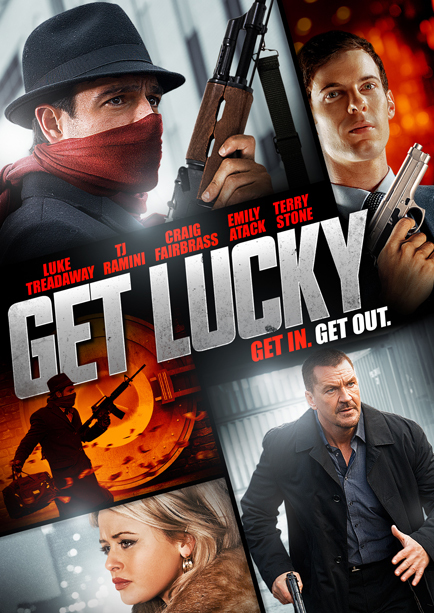 While Raphael concocts a plan to rob the casino of the most powerful crime-lord in town, Mr Zigic, and enlists the help of Zigic's own unwitting nephew Niko and employee Eli, Lucky is distracted by the girl of his dreams, femme fatale Bridget, who may not be all that she seems. With betrayals and twists of fate, it seems everyone has an ulterior motive. The question is who can the brothers trust on the most important night of their lives?